Figures show there are 28.6 million licensed cars in the country. This is a rise of 29% since 1996. 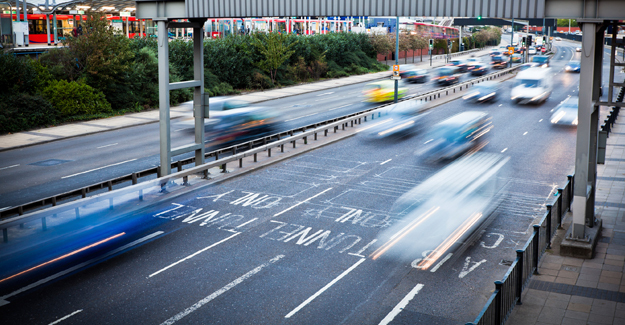 When all motor vehicles are counted – including motorcycles, lorries, vans, buses and coaches – the total number of legally registered vehicles is 34.5 million (also a record) up 31% over the 15 years. The amount of vehicles has risen every year during this period. Looking further back there were just 53,000 cars licensed in 1909 and even in 1950 the number was only 2 million. “These figures might surprise some but they reveal just how important the car is to all sections of society, with the biggest growth in car ownership taking place amongst those on the lowest incomes and the elderly. “It is a fact that overall traffic volume has recently fallen and is at the lowest level since 2003. The decline has coincided with families and businesses feeling the financial squeeze brought on by the economic downturn. However there are clearly an increasing number of people who still feel they have no practical alternative to owning and driving a car to go about their daily lives. “The growth in car ownership has been encouraged by the relative fall in the price of new and second hand cars over many years, though spiralling running costs will have contributed to the drop in total mileage. In 2003 the total number of motor vehicle miles travelled (traffic) was 305 billion. In 2007 it peaked at 319 billion miles. In 2010 it was 308 billion miles. The figures quoted come from analysis of the DfT’s Vehicle Licensing Statistics released earlier in December. ‘Other vehicles’ includes rear diggers, lift trucks, rollers, ambulances, Hackney Carriages, three wheelers and agricultural vehicles.